Every business is now spreading over the internet. Food delivery platforms are delivering food all over the world, feeding people and making a huge amount of profit as well. People are also becoming more interested ordering food online that has taken the focus of all businesses to the web platform. Literally, every business now tends to have their own mobile app, getting more and more closer their customers. People also tend to order from their websites instead of traditional phone calls. 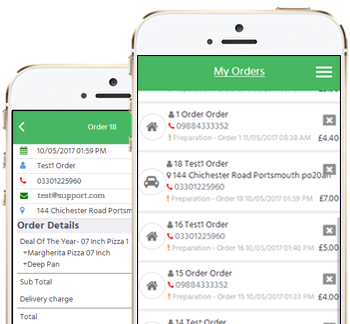 As a result, the online ordering system for restaurants and takeaways are getting more popularity. But in order to set up an online order and delivery system, a restaurant has to get their website first. FusionPos comes up with all-in-one solution. FusionPos provides everything needed to enable customers order food online, and manage delivery accordingly. Their platform is device independent, making sure that customer can order from anywhere. Not only that, FusionPos also provides mobile responsive sites that offer customers to get full service even from mobile devices. FusionPos charges 0% commission on online orders, where third party developers might take charge, allowing the restaurant and takeaway save up a good amount of profit. It doesn’t mean that all customer order is going to take place. After a customer has ordered, he has to know how much time approximately it’ll take. According to his wish, he can cancel the order. FusionPos makes sure that no misunderstanding taking place when canceling the order. Any respond to an order is automatically emailed to the customer. FusionPos also makes sure business promotion over the internet. Offers that your restaurant make are available throughout the website via banners. For more people to know about your business, a few basic tools for SEO are also available for visitor boost. FusionPos not only provides a website, but also a complete management system for the entire restaurant. The owner can easily control the cooking and delivery time according to the situation. Keeping track of the customers is very important for a business. Knowing customers’ trends and boosting business accordingly is a must to grow. FusionPos helps tracking customers and improve restaurant fame very easily. With all the features, FusionPos is a perfect choice for corporate food delivery solution and ensuring a better business experience for both the customers and the owner of the business.